Like in every multiplayer game, NS2 handles and includes a bunch of different communities, Europeans, Australians, North Americans, etc. This is not a hard thing to find out many and many posts providing informations about all of them. But as I accepted this challenge from @AurOn2, I've decided to compile in only one post everything you have to know and links about NS2 communities for both experienced and new players. I may be wrong about some of them, so, feel free to correct me below if needed. Whether you want to know and be aware of everything about all those, time is come to read the whole thread here. I'd try to make it as short as I can and easily readable. As you can guess, NS2-FR is the Home of the french community in NS2. There are other servers of course and various things relative to France and all that stuff but if you need informations, are looking for a team, or want some friends, you have to join us on NS2-FR. There's a website: http://ns2-fr.com/ and once you're registered, you are able to post on Forums and ask for whatever you're looking for. We also provide a TeamSpeak 3, you're going to find most of the french teams there. Everyone is welcome. Be careful, people here mainly speak French. Be careful, people here mainly speak Russian. In North-America, fortunately, you have a website, Mumble, Steam group, & servers. Whatever you need to play with some people and this community is definitely one of the biggest in NS2. Again, you have to use Mumble. One of the oldest communities in NS2. 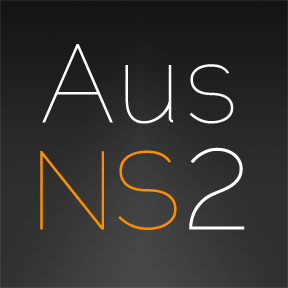 For those that come from Australia and the nearby countries (even New Zealand huhuh), you have to know there's a huge & nice community to join as NS2 player. Website, servers and Mumble to your disposal. They have a bunch of Steam groups and I'm not even sure of those are still active. (@sebb confirmed to me there's no Steam group to join --> bad). Not really a community, that's right but more the Home of NS2 competitive for the international. Opened to every nations from all around the world. You can register to join a team, or if you're looking for one, gathers are also a good start to step into the competition. I have no idea if this community is still managing by someone, I'm waiting for some informations 'cause for some reasons, I'm not able to read this language. --> EDIT: this is still active & @CarNagE1 is the one who handles this. They have their own server called Battle Gorge Royale. You can also join their Steam group & Facebook page. A bit different from the other communities I've already mentioned. I needed to talk about this though. I don't have so much informations about this "clan" but @Neoken kindly gave me something to write here. "We have about 50 active members in the ns2 division currently, play at least two evenings a week, and always manage to gather enough people to do two simultaneous scrims (sometimes three). It's open to people of any skill level, veteran or rookie, and we even arrange basic training sessions for the less experienced ones. People can sign up, but it's not required. It's also possible for people to join our TS as a guest and participate if they feel like it." And I can only agree, TAW is THE team that signs up for every NSL seasons for NS2 competitive and this is not too hard to meet some of them ingame. Did I say this community is composed with a bunch of very good & nice guys? TS Address: taw.net but a password is required. Please, contact @Neoken (again) to get more informations and the current password. Be careful, there's a ton of channels on their Teamspeak as far as I remember. I totally didn't issue that challenge. You disagreed my message = challenge. Maybe @CarNagE1 can help me about Polish Community? 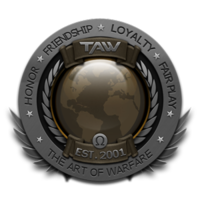 EDIT: added TAW COMMUNITY to my post. @Pelargin you contacted right person for this info ;p. Polish community isn't big. We have few active players. In NS1 days it was way way bigger. I'm main editor of naturalselection2.pl for a long long time now. Im hosting a server for our Polish Community. Server is called Battle Gorge Royale. @CarNagE1 - your informations have been added, thanks. All these communities are still active? Except the German one you mentioned. And who can be the best contact to get enough informations about those. The korean community is still semi active. I believe they pug primarily. Btw, because this post was stickied no one has seen it. onos.cc seems very inactive. I can read Chinese, and there hasn't been much news or posts there for about 6 months at least. No @sebb it was stickied because it was worthy of one. What happened 6 months ago that drove it into inactivity? Yeah but you don't sticky immediately man, especially when it gets buried by 10 other stickies. Too bad there's no Canadian community. Why is everyone south of the border. I didn't even consider that there was probably a subreddit. Look how smart I am.